" I bought this keyring for my Daughter at Kids Dream pop up shop she instantly fell in love with it and couldn't wait to put it on her school bag all her friends admire it. Wonderful little business and friendly owner too! " 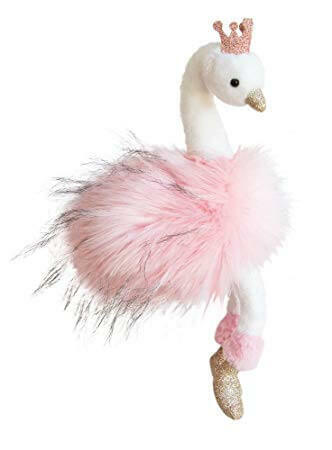 This beautiful Rose Pink glitter swan keyring created in a unique quality of soft toy - with long and dense full of gold, this Swan Majestic convinces with its elegance and it's pretty touches of glitter gold and silver. The small Princess Crown on the head, shield of tulle with sharp design and stylish, it is also a wonderful gift for decorating the house or at play. Perfect for school bags or handbags as adults will love these too. I bought this keyring for my Daughter at Kids Dream pop up shop she instantly fell in love with it and couldn't wait to put it on her school bag all her friends admire it. Wonderful little business and friendly owner too!